Stunner Baby Magazine is intrigued by Rihanna’s seven concerts, seven cities and seven days promotional tour hyping her “Diamonds World Tour” scheduled for the first half of 2013. 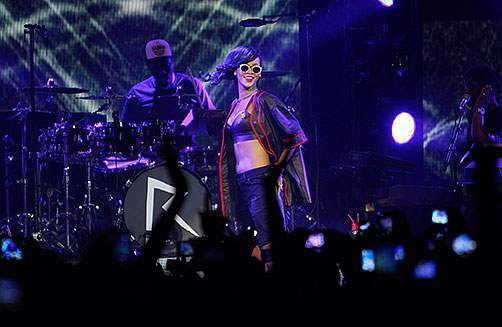 Rihanna has begun her “777″ tour in Mexico City with an exclusive party for about 2,000 fans. She arrived in Mexico City on a Boeing 777, which will take her to Toronto, Stockholm, Paris, Berlin, London and finally New York, where she will complete the grueling tour to celebrate her forthcoming seventh album Unapologetic (out November 19). Joining “Ri Ri” on the week-long trek was a lucky group from her Rihanna Navy fan club, as well as 150 journalists from 82 countries. The first show is November 14 — just four days after her SNL gig — but the location and ticket information has not yet been disclosed. Rihanna’s 7-7-7 publicity tour concluded yesterday (November 20th) evening with an apology to passengers in an effort to ensure that there is no bad blood being harbored by fans and member’s of the media that accompanied the singer on her 7-day, 7-country tour aboard her private 777 jet. It seems that fans and press members alike were a little ticked as they were barely able to spend anytime with her besides brief sightings during baggage claims and for drinks during the first day of the tour. To make matters worst, several members of the media reported that there was minimal sleep and food, which you could imagine probably had folks aboard that flight a bit testy. There were also random reports of an Australian media person who streaked through the plane claiming that he was delirious after going for extended periods of time without food or sleep. “Unapologetic” debuted at number one on the Billboard 200 with sales of 238,000, becoming Rihanna’s first number one album in the country. In addition, it became the best-selling debut week of her career, besting her fifth studio album Loud (2010). 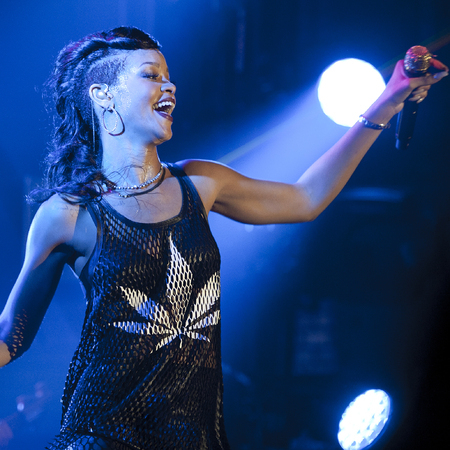 The album also became Rihanna’s third and fifth consecutive number one album in the United Kingdom and Switzerland. The lead single from the album, “Diamonds” was released in September 2012 and has reached number one on the US Billboard Hot 100, becoming Rihanna’s twelfth number one, thus tying her with Madonna and The Supremes for the fifth most number one songs in the chart’s history. All in all, Rihanna gets high praise for thinking outside the box with a twist of innovation in expanding her everlasting global brand marketing icon image. Bravo!